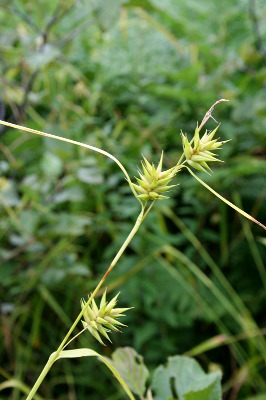 Relatively frequent in swamps on sandy soils near Lake Michigan in the Lower Peninsula; uncommon and local elsewhere in swamps and cedar swamps; in at least slightly acidic soils. 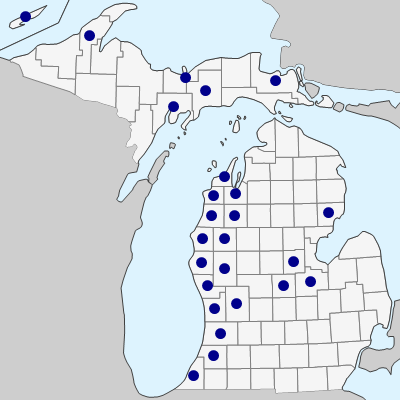 The collection from Washtenaw Co. mapped in Michigan Flora was mislabeled. MICHIGAN FLORA ONLINE. A. A. Reznicek, E. G. Voss, & B. S. Walters. February 2011. University of Michigan. Web. April 21, 2019. https://michiganflora.net/species.aspx?id=963.